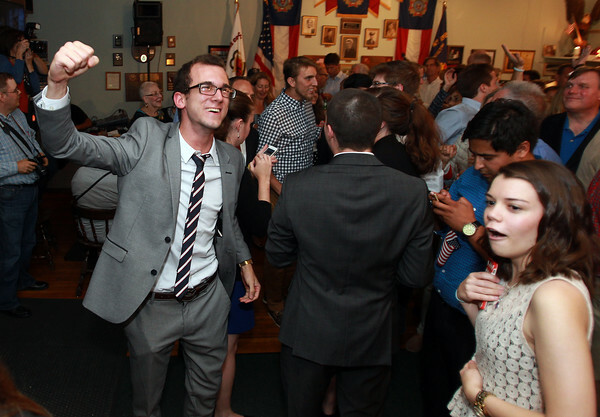 Seth Moulton supporters Paul Bologna, left, pumps his fist in the air in celebration as Alissa Heller, right, can't believe the news that incumbent Congressman John Tierney conceded the race in the 6th district on Tuesday evening. DAVID LE/Staff photo. 9/9/14.